As I’ve mentioned before I go to a Mums’n’ Bubs bootcamp (Yummy Mummys – shameless plug) for a regular arsekicking workout with my torturer trainer, Yazalicious. Every week Yaz sends out an email to everyone welcoming newcomers (totally sucking them in and letting them think she’s not going to smash them mercilessly) and giving tips on health and nutrition. It’s very informative. One week recently she suggested that everyone take a small step towards their health goals and give up just one thing. Just one thing? How hard could that be, right? You wouldn’t do a blanket thing like sugar, because that’s way too full on, but perhaps you could give up chocolate? Get f*&ked. I’d rather die. I thought about it for weeks. Yes, I really do want to lose my baby pouchy belly, but I don’t want to actually have to deprive myself of food I love!???!!! That’s a foul thing in my mind. I decided I really didn’t want to give up anything that I wanted to eat……and then I realised all of the things I eat that I don’t want to eat- AKA D Man’s food. I don’t want to eat his soggy half chewed toast, or dropped pieces of pasta. I really don’t. Nor do I want to finish his rejected meals, share his snacks or nibble his crusts. Part laziness (can’t be arsed to walk to the bin), partly habit, and a large part of seefood addiction I have (not a typo – See Food and Eat It is a very real disorder). I vowed I would give up his food. I had steely resolve. I told Yaz, because the first step is admitting the problem and telling people who care that you’ll change – AND MEANING IT. I was so proud of myself because I lasted one whole day. So as retaliation for her thinly veiled threat, I thumb my nose at her with a tribute to pig fat and carbohydrates. Bring that shizzle on, oink, oink. She’ll totally make me pay in a pound of sweat so if you don’t hear from me, please send flowers to St George Hospital. 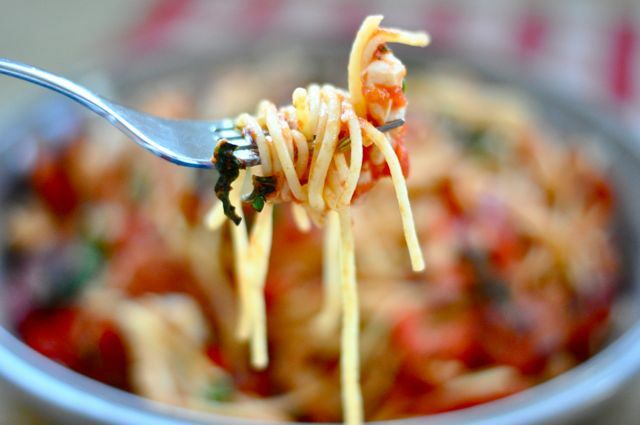 Pop a saucepan of water on the stove for your pasta. Salt the water. 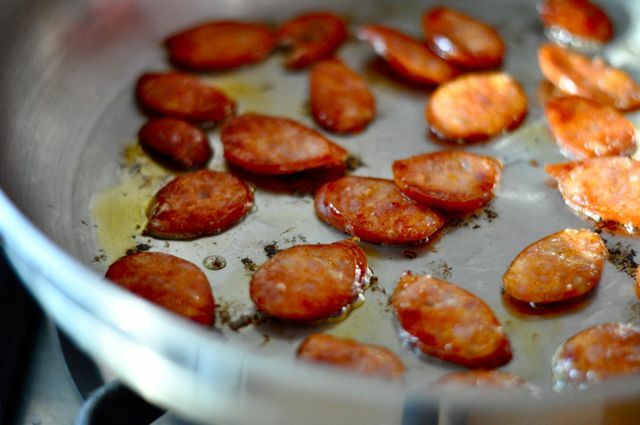 Over a low heat, place chorizo into a heavy bottomed fry pan without oil. The fat will render out and be delicious to cook our onions in. Oink. Turn once, ensuring it has a little bit of golden colour. Remove and place on kitchen roll to absorb any excess fat. Yaz would want it that way. 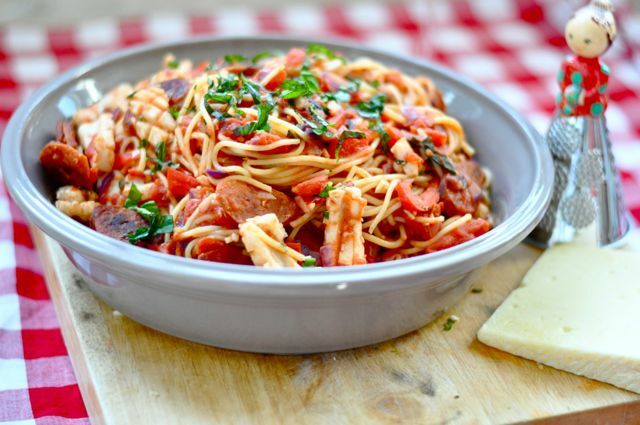 Pop your pasta into the pan. Cook as much as you think you need. I almost always make too much….you’d think I could cook pasta by now, huh? Throw your onion into the pan and when translucent add your garlic and fennel seeds. 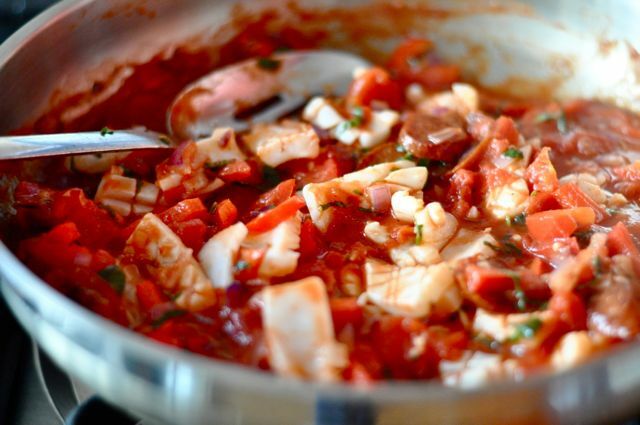 Toss in your capsicum, tinned tomatoes and wine and simmer for 5 minutes. Chuck in your squid, and parsley and stir for a further 5 minutes. Add about 1/3 cup of your pasta water to the pan. Toss your chorizo back in, season and throw your cooked pasta in. Toss and serve with a big yummy green salad. I find that a salad with shaved fennel goes beautifully with this pasta. If you enjoyed this post, be sure to subscribe via email to ensure you can always keep up with the Holsbys!! Gorgeous and yum! Much better than the D Man’s soggy rejects. I’m not a sweet tooth so could give up sweets no sweat. I wonder what my Pièce de résistance is? They’re all rich and savoury…and meaty. Maybe bacon. Is pork too big of a blanket? You sure do know how to make a girl feel good! haha! I just love this. So true. Beautiful photos. So glad I popped in. Then I’m glad too! Hope you can pop back again soon! Gorgeous photos! My husband would love this; me—I’m a weakling when it comes to spice and chorizo. 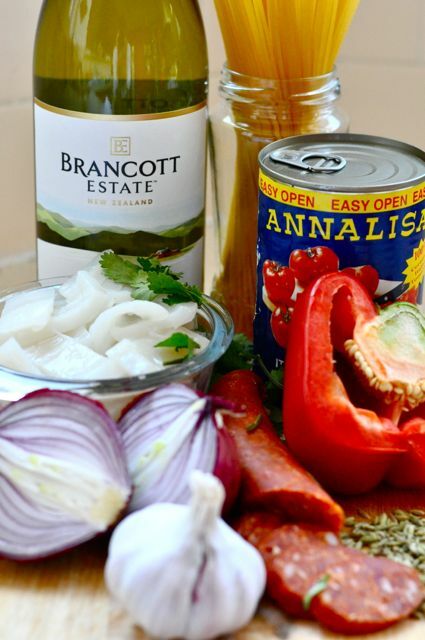 Hey N, also great with prawns or scallops. I love it because it’s fast. 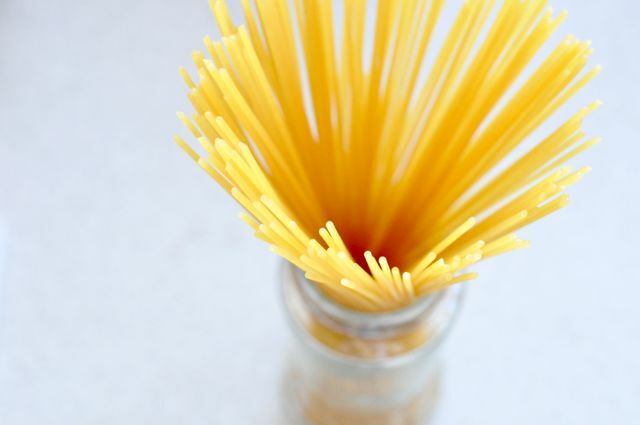 It can be ready by the time your pasta is cooked. Love the photos – recipe sounds DELISH too. Know completely what you mean re leftovers. Why do we do it? Must admit I manage to contain mine to fish fingers, home made wedges or any too delicious curry type things. Still, who needs a fourth meal in the day. Just means I need to exercise more or eat less of my own stuff – NO WAY JOSE!! How good are fish fingers? I forgot about them until I had D Man. The munching is totally universal. The food is right there….. Self control is not my friend!! !